So if you didn't know I am new to the whole nail polish art community, I have loved painting my nails in the past as it's a good way to distract me from my thoughts and helps with anxiety. 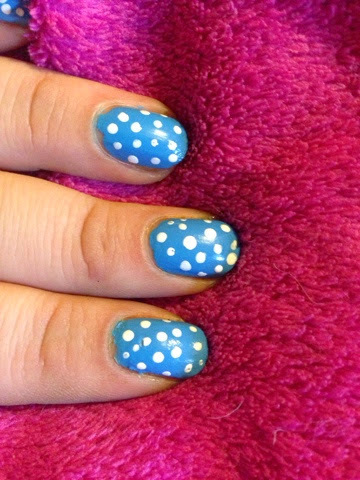 Today I am sporting the NYC- ny blues as a base and used my Nicolette from julep, for the dots, I used my biggest round dotter (first time using it) it was a lot easier then I thought it would be. 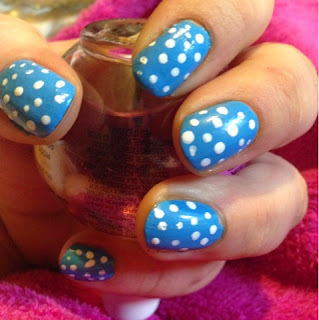 When using the dotting tool try to get a good amount of polish on the end and lightly dab where you want your dot. It hard to credit the first person who created this simple manicure, so I would just like to thank all the bloggers and people who have created this look and have shared with others. Base cost before clean up, I had to show this color off. With the dots, keep in mind I am a beginner :p and novice picture taker. I'm sure as I keep working with the dotter tools i will get more even dots and maybe even lined up. 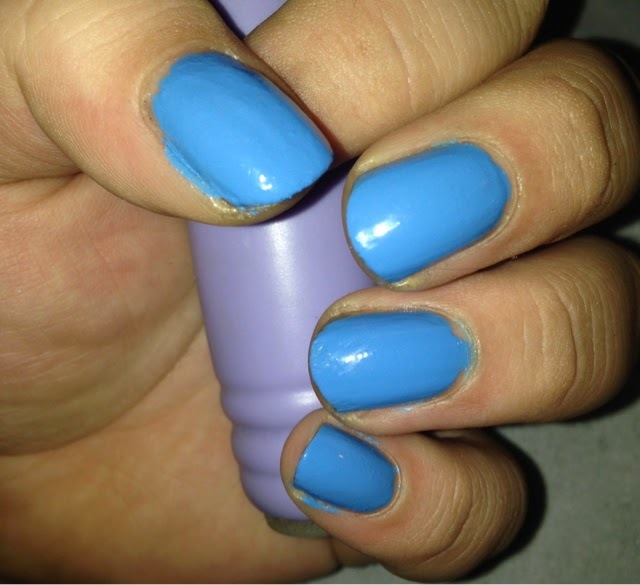 I loved each polish, they were very easy to work with and I am using pro fx nail repair base coat.